Our partner, Southeast Senior Services, operates the Care-A-Van with ride services for seniors (age 60-plus) and for persons of any age with a disability that keeps them from driving or using the RIDE fixed-route bus routes. 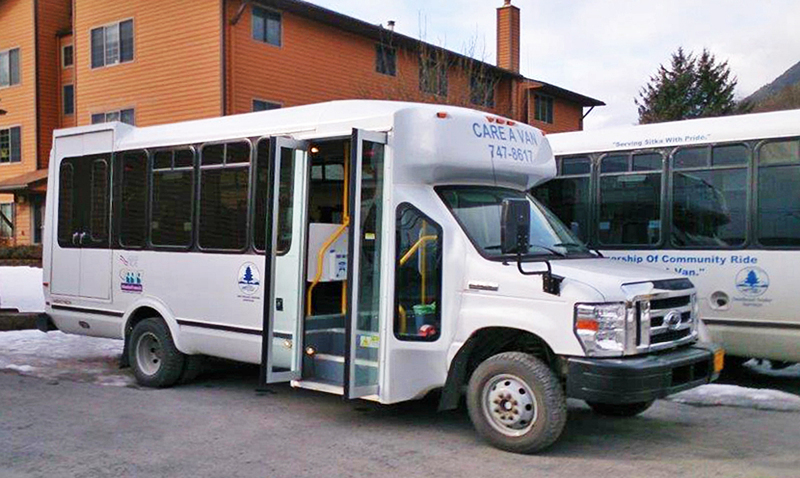 Care-A-Van provides transportation for people with disabilities who are unable to ride the public bus and for anyone age 60 or older. Care-A-Van takes passengers anywhere they would like to go: to the doctor’s office, to the store, to a friend’s house, to school, the grocery store and even the bank. Drivers are trained to assist a rider from door to bus and bus to door, including helping with a number of small to moderate packages. Errands, which our drivers help with, include picking up prescriptions, dropping off mail and depositing checks — just to name a few. Rides are available M-F, 6:30 a.m. to 9 p.m. To schedule a ride, call 747-8617. Seniors needing rides after 4:30 p.m. on weekdays can call 738-1333. Weekend rides from 8:30 a.m. to 2 p.m., only available by appointment made before 4 p.m. Friday by calling 747-8617. Seniors age 60-plus, asked to make a donation of $1. Riders age 60 or younger must pay fare of $2 for each one-way ride.